Get Set Camp is thrilled to bring you the best of both worlds adventure and relaxation. The Camp river rush is a campsite based along a calm riverbank with plenty of trees around. This campsite is located in Kolad which is the rafting capital of Maharashtra. You can enjoy the first day relaxing at the campsite or swimming in the river. The second day will be the adventurous river rafting session to the mighty Kundalika river. You will experience thrilling rapids during the course of 3 hours on the raft. Transportation to and from the rafting point. What all amenities does the campsite provide? Is the river rafting safe? 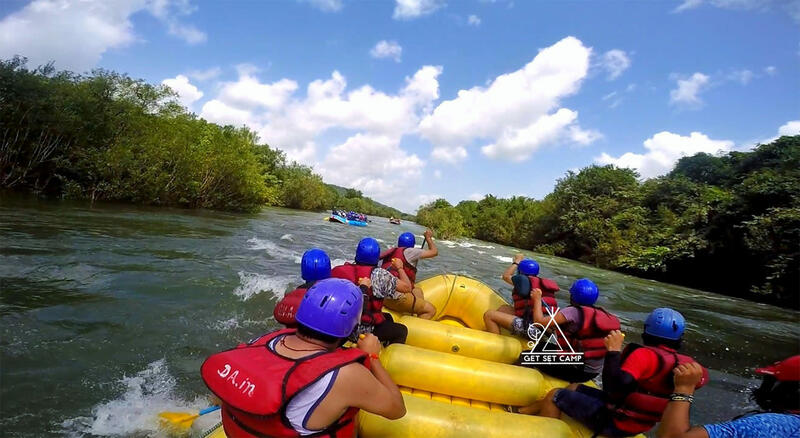 Yes the rafting is conducted by professional experts with world class equipments. Is the transport to the rafting point inclusive? Is the camp location next to the river? the campsite is completely safe for women as well as everyone else. We have security at the camp. Yes we have western toilets and shower Facility at the campsite.